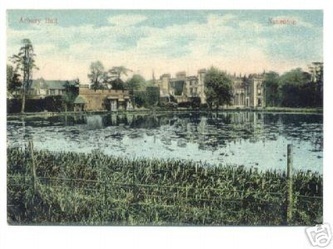 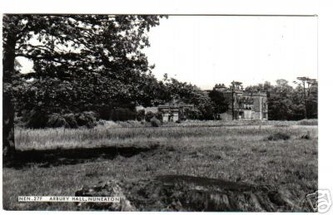 In the 14th century Harefield Place, near Uxbridge was acquired through marriage by the Newdigate family. 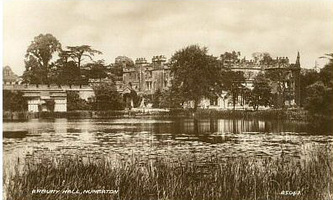 Harefield Place remained the family's principal home until 1586 when John Newdigate exchanged the house for Arbury Hall in Warwickshire. 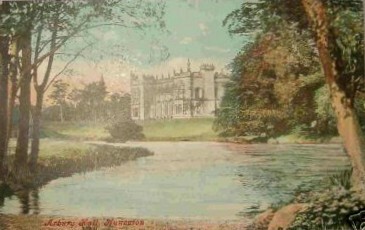 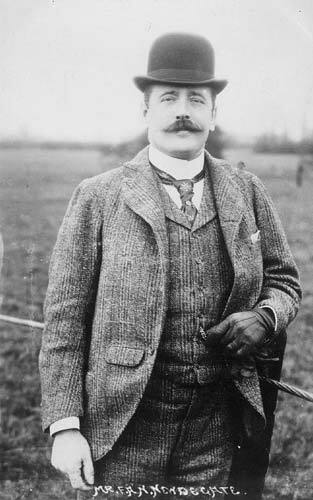 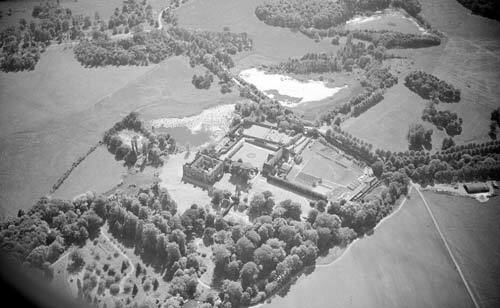 Sir Richard Newdigate, the 1st Baronet, made a fortune at the bar and bought back Harefield House. 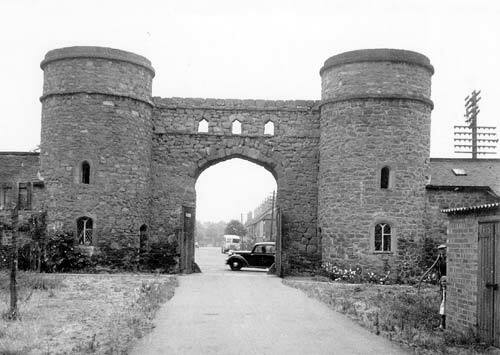 As a result, when Sir Roger Newdigate inherited the title in 1734 he acquired both properties. 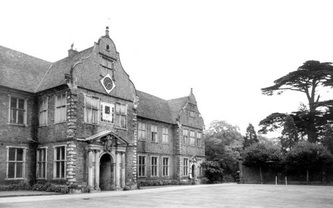 Sir Roger inherited the family baronetcy and estates whilst he was still a school boy at Westminster. On leaving University College Oxford, Sir Roger made a Grand Tour of France and Italy. After he returned to England he set about establishing himself and in 1741 became a Tory Member of Parliament for Middlesex. 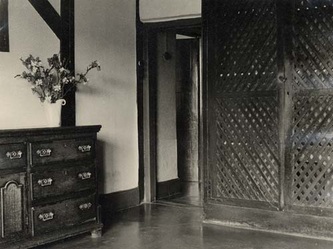 Two years later he married Sophia Conyers. He spent three months each spring attending the Houses of Parliament but the greater part of his life was spent on the Arbury estate. In later years he became more and more reluctant to leave Arbury Hall and became obsessed with the decoration of the house. 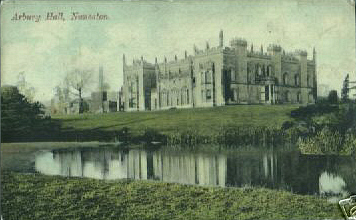 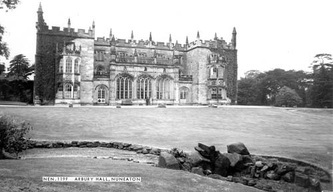 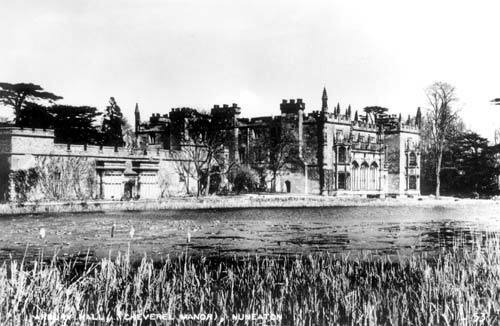 When Sir Roger inherited Arbury Hall it was quadrangular Elizabethan house constructed on the site of an Augustinian monastery. His grandfather had added the chapel with its rich plaster ceiling in the latter part of the 17th century. In the late 1740s Sir Roger began to modernise the house. 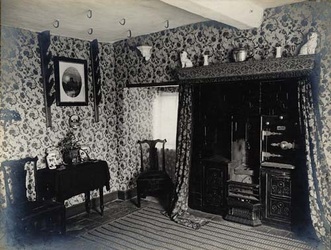 He worked around the house room by room and by the time he has finished 50 years later very little, apart from the chimney-piece in the long gallery, was left unaltered. 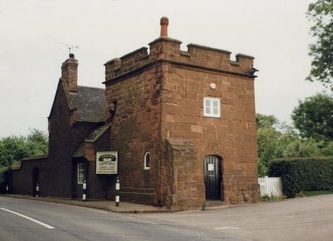 Sir Roger built in the Gothic style which had been fashionable in the ten years before he began. He employed the architect Henry Keene who worked on Arbury Hall from 1761 until his death in 1776. 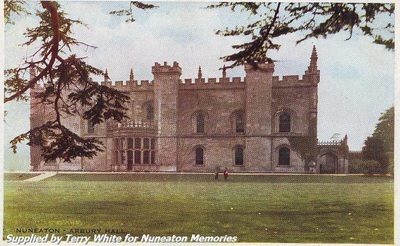 Some of the work at Arbury reflects Keene's close association with Westminster Abbey, where he held two surveyorships during this time. 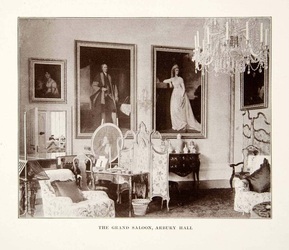 The chimney piece in drawing room is based on the tomb of Aymer de Valence in the Abbey and the fan vaulting in the dining room is derived from Henry VII's chapel. 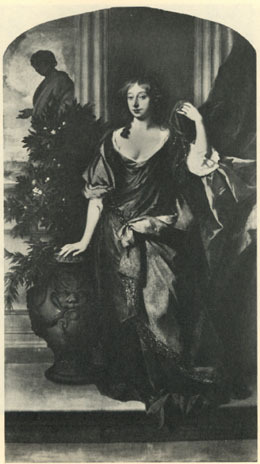 In 1774 his wife died and two weeks later the broken-hearted Sir Roger left on a 18 month tour on the continent with two relations, Charles Parker and Mary Conyers. 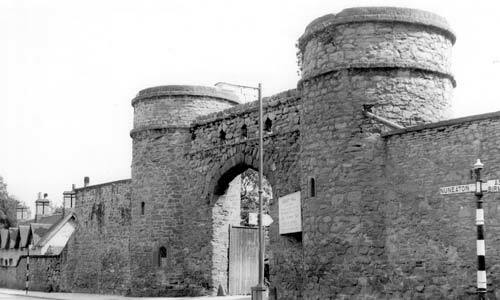 He went sight-seeing in Paris, studied some of the great Gothic cathedrals, including Rheims and Milan and brought back statues, casts and paintings. 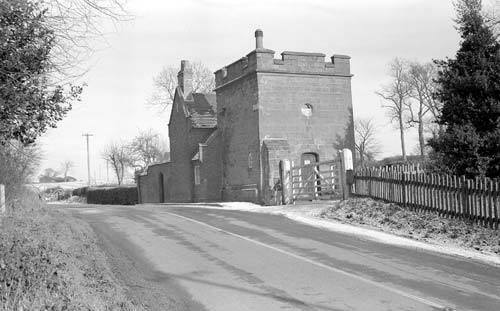 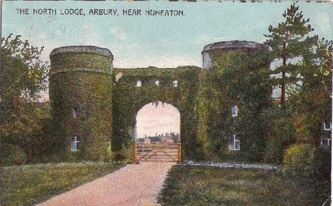 Sir Roger returned to Arbury at the end of 1775. 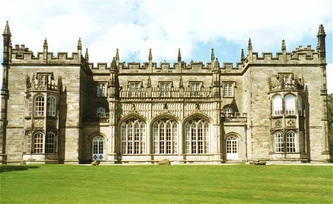 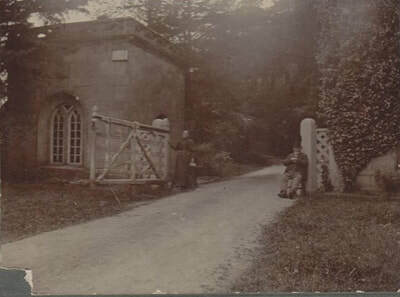 Keene died the following year and was replaced by Henry Couchman, a Warwick builder who set about completing the south front and began work on the saloon. 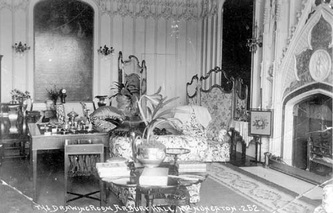 This is the finest room in the house and took 20 years to complete. 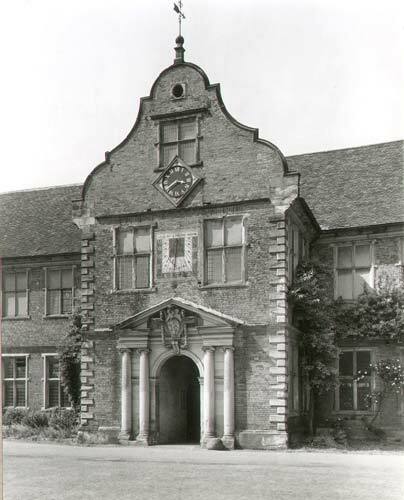 The bow-window with its intricate plaster tracery was installed in 1795. 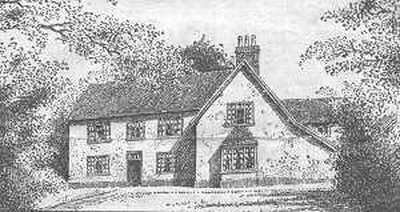 In 1789 Sir Roger fell out with Couchman and he was dismissed. 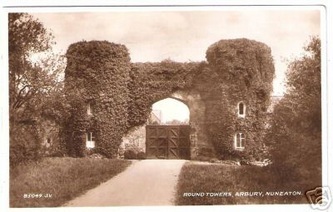 After that time Sir Roger supervised the work at Arbury himself. 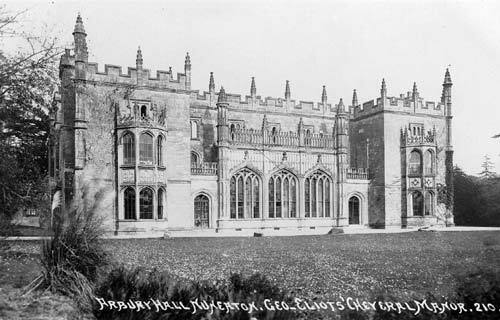 In 1776 Sir Roger married Hester Mundy, a Derbyshire woman. Sir Roger and Lady Newdigate were childless but in the 1780s a young girl called Sally Shilton came into their lives. 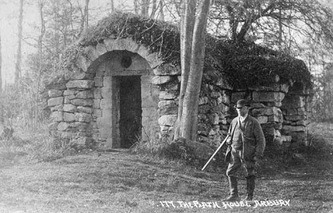 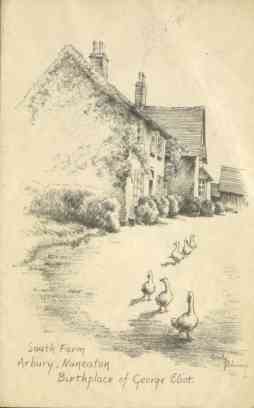 Lady Newdigate had heard Sally, a daughter of a miner, singing on a cottage doorstep. 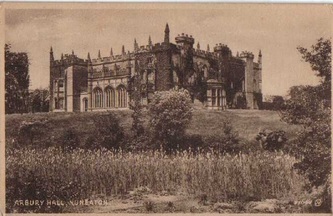 She was captivated by the girl's voice and took her to live at Arbury Hall. Sally graduated from the housekeeper's room to eventually share the lives of Sir Roger and Lady Newdigate. 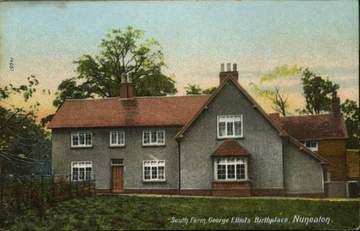 Years later George Elliot, who was born and brought up on the Arbury estate used the story of Sally Shilton, who later married the local clergyman, as the basis of one of her 'Scenes of Clerical Life'. 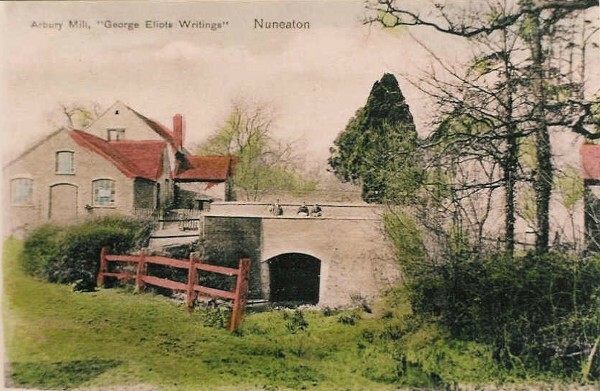 George Eliot (born Mary Ann Evans) was a local authoress based in the Coventry and Nuneaton district, from 1819-1880. 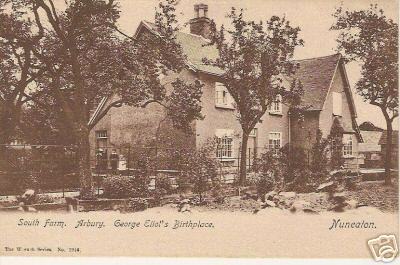 George Eliot was born at South Farm, Arbury Hall estate on 22nd November 1819 the family moved four or five months later to Griff House on the outskirts of the Arbury estate. 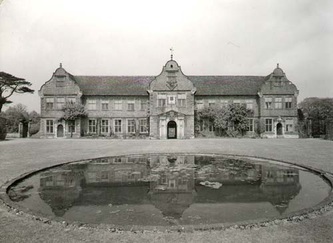 Her father Robert Evans was the estate's manager. When Sir Roger died in 1806 he had been master of Arbury for 72 years. Sir Roger's successors have preserved Arbury Hall, which is regarded as the 'Gothic Gem' of the Midlands, almost as he left it. The house contains a fine collection of Chelsea and oriental porcelain, furniture by Chippendale and Hepplewhite and paintings by such notable artists as Lely, Reynolds, Romney and Arthur Devis (who painted Francis Vincent at Weddington Castle). 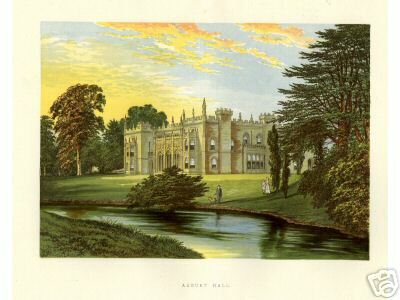 Arbury Hall is surrounded by beautiful parkland. 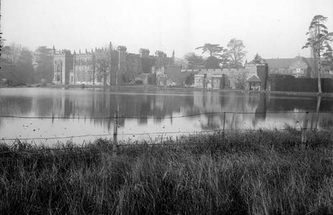 The landscaped gardens have wide expanses of lawn, lakes and winding woodland walks. There are profuse spring flowers and in June colour is provided by rhododendrons, wisteria and azaleas. The Hall and gardens are still owned by the Newdigate family and are now open to the public. 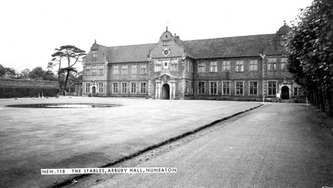 The official website can be viewed here. 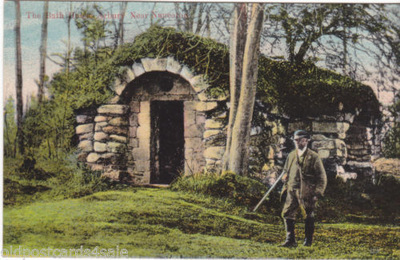 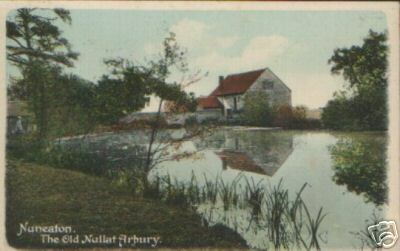 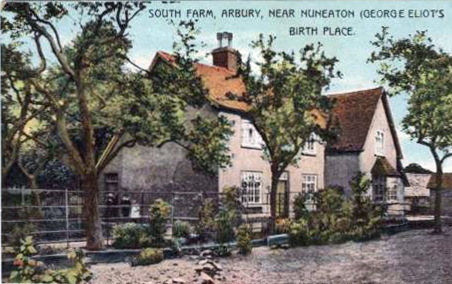 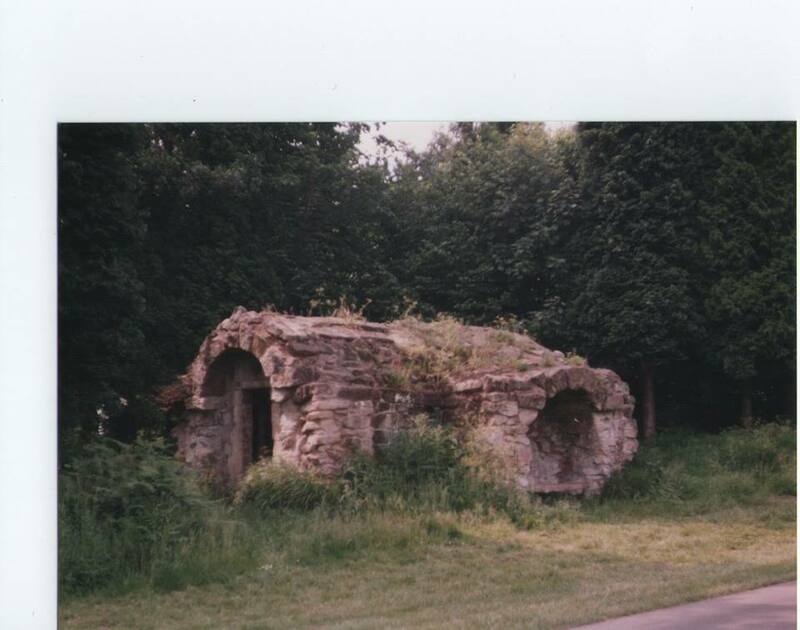 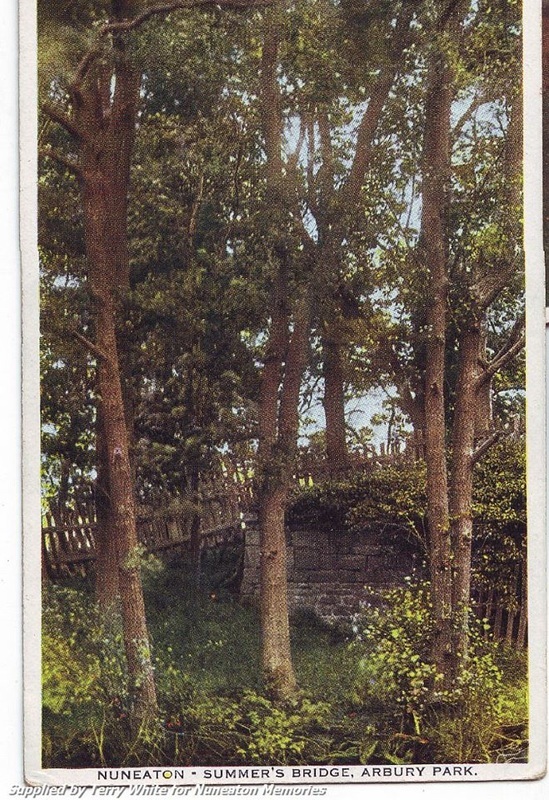 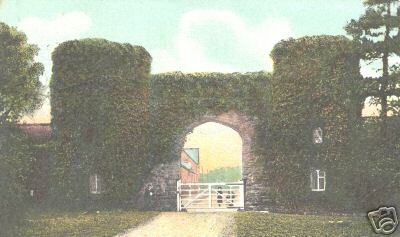 Colour postcard of "The Old Nullat, Arbury"